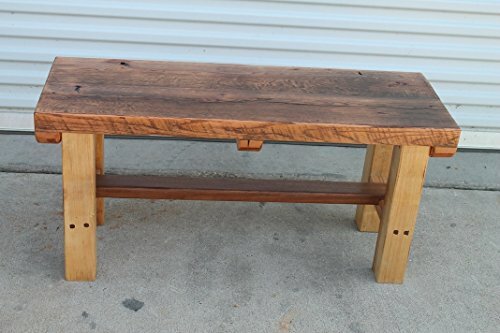 Here's a rustic bench made for an entryway or even to sit at the base of a bed. This has a reclaimed oak top that was burned and distressed. The bottom has a walnut crossbar and walnut square pegs. Nothing fancy, just great functional and rustic!